You can access a full menu of apps that are opened by double clicking the home button. Depending on the version of iPad you have, this could look different. Older versions have a multitasking bar placed horizontally with the apps that are opened. There are red X’s placed on the top left corner of each app to quit out of that specific one. Newer versions of iPad have an App Switcher. You can double click the home button and scroll through all the open apps. To quit out of an app, swipe the screen upwards. The app should disappear from the App Switcher and thus quitting out of it. Doing this allows the app to restart and hopefully the app starts to work properly again. This seems like an obvious one-but oftentimes with Apple products this can fix the problem. To shut the iPad completely off, hold down the top silver button until the screen goes completely black. You will know if the iPad is shut off completely because pressing the home button will not turn the screen back on. The way to turn it back on is to hold on the top silver button until the Apple icon appears on screen. Restarting the iPad can sometimes fix the issue in a quick way. Doing a restart is simple; start by holding down the home button and the top silver button for as long as the screen stays on. Do not let go of the button until the screen shuts off and turns black. The screen will turn on indicated by the Apple logo flashing on the screen on its own. Another issue could be that the software of the iPad. 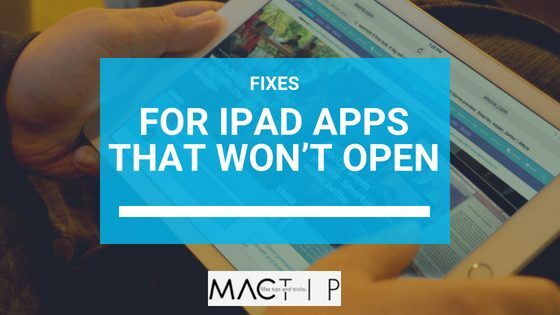 Making sure that all the programming of the iPad is up-to-date could significantly affect the speed and the productivity of all the functions of your tablet. Go to General- oftentimes there is a red icon that shows up by the menu. This indicates that there is a software update. The software will appear with the new update. Making sure the iPad is up to date is only half the job. Perhaps checking the actual program you’ve installed. The App Store will show you any updates that your iPad may need. You can go into the App Store and update any apps that you see may need it. This could fix the problem that caused it to freeze or act slower. If the creator of the app you own did not create it correctly, there can be many bugs and things that need to be fixed. Go to the App Store and look at the “reviews” tab. If others are reporting the same issues as you, it could be that it is a problem the owner of the app needs to look into. At that point, the best thing to do is wait for an update. Most (if not all) app developers strive to make an app that works quickly and smoothly. If you feel that there might be something more serious happening, or the problems persist beyond these easy fixes, contacting support would be the next step. With these solutions, most app problems will fix themselves quickly and simply.